I love whisky. I love ice cream. I really love them together in a shake. 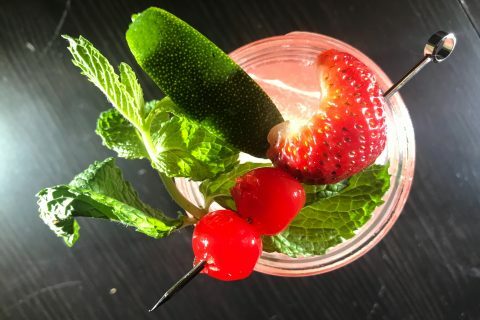 With the days get a bit cooler and shorter I turned to my trusty blender and favorite ice cream to create a perfectly creamy boozy milkshake to celebrate the end of the this hot and long summer. Crown Royal Vanilla is a great iteration of the venerable Canadian Whisky brand that is as smooth as always except with strong vanilla kick surrounded by subtle oak notes. This whisky drinks great both on the rocks and neat, but it really shines as the base of a vanilla whisky-coke, which brings visions of days sitting at the soda fountain decades ago. The vanilla makes the already superbly smooth whisky even more accessible and flavorful, giving new dimension to an old favorite. 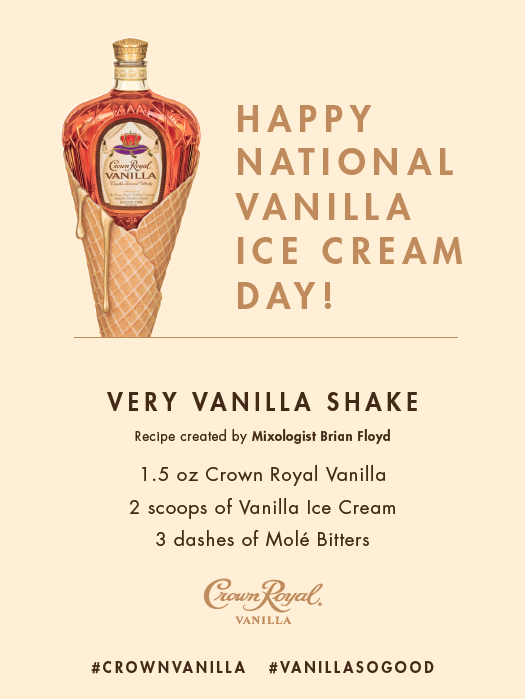 Crown Royal Vanilla is a fantastic whisky on its own but I would argue it truly shines as the centerpiece of the boozy vanilla desert shake. 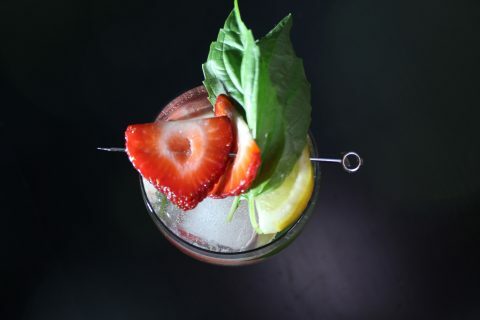 I used the recipe for The Very Vanilla Shake created by Mixologist Brian Floyd for this decadent desert. 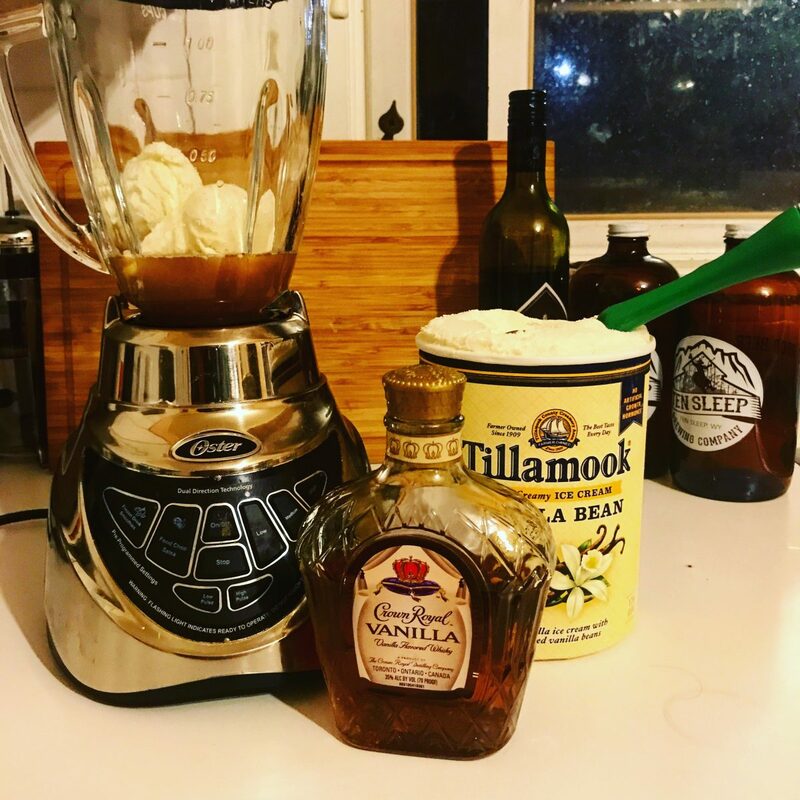 Simply add 1.5 oz Crown Royal Vanilla, 2 scoops vanilla ice cream, and 3 dashes Mole Bitters to a blender and mix until creamy. Be sure to get a very high quality Vanilla Ice Cream, I got my favorite Tillamook Vanilla Bean. The resulting shake is a sublimely smooth experience as the vanilla base dominates with hints of a cocoa spiciness opening up the flavor palate due to the Mole Bitters. The Crown Royal Vanilla adds only minimal bite that parlays perfectly with the cool ice cream. Be sure not to miss this perfect way to wind down after a long summer day with this spectacular boozy milkshake with Crown Royal Vanilla in its soul.